Concerned Veterans of America (CVA) hosted this fourth and final installment of the ongoing event series entitled “Future of the Courts” and featured Senator Ben Sasse of Nebraska. As a member of the Senate Judiciary Committee, Senator Sasse stated his staunch support for Supreme Court Justice nominee Neil Gorsuch. He feels this nomination is an excellent choice to fill the void left by Justice Scalia's passing, and he also addressed the late justice's legacy. 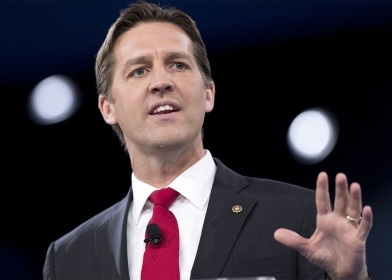 Senator Sasse outlined the basis of our government, which relies on three equal but separate powers, and he stressed that the role of the Judicial branch is to protect the Constitution and not to make policy. Participants were asked if they support the nomination of Neil Gorsuch and their level of willingness to contact their state Senators to encourage the confirmation of this nomination.